It is April 26, the day 20th Century Fox has officially declared as Alien Day. 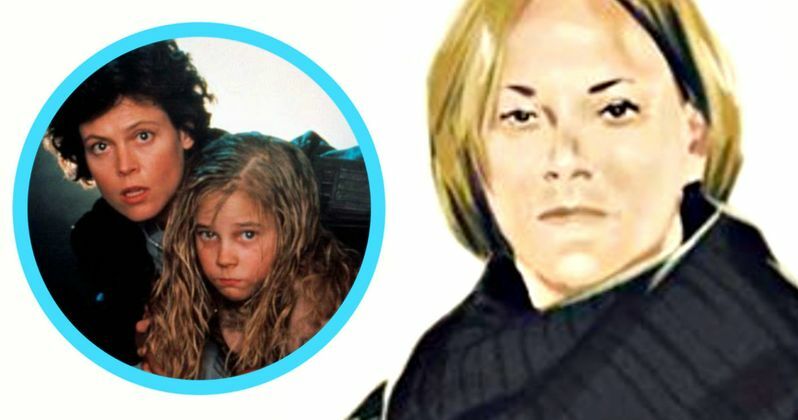 To celebrate, Alien 5 director Neill Blomkamp has shared some concept art on his personal Instargram page that depicts a grown up Newt as played by Carrie Henn in the 1986 classic Aliens. Thus, confirming that the character long thought to be dead is returning in his upcoming sci-fi thriller. Alien 5 is playing with the timeline of the Alien movie series. While it won't completely disregard what happened in Alien 3 and Alien Resurrection, this will be more of a director follow up to Ridley Scott's original 1979 classic Alien and its sequel, the James Cameron director 1986 adventure Aliens. Most fans of the franchise are well aware that in the Alien series, both Cpl. Hicks and Rebecca 'Newt' Jordan, introduced in Aliens, were immediately killed off in the opening moments of Alien 3. This is one of the things Alien 5 plans to skirt around. Both Hicks and Newt were fan favorite characters, and killing them off in the immediate next installment was very upsetting to a lot of fans, who consider David Fincher's Alien 3 to be the worst movie in the franchise. But Michael Biehn is returning to reprise his character, even though that has never been confirmed by Fox. And as you can tell by this latest art, that is definitely what Carrie Henn looks like now. We'd previously heard that Newt was coming back in an interview with Biehn from over a year ago. He had this to say. "[They're] planning on bringing me and Newt back and at this point Newt will be around twenty-seven years old...It's really a passing of the torch between Sigourney and this younger actress who would play Newt. It would keep the franchise alive..."
While Carrie Henn isn't confirmed to return at this stage either, it is clear that Blomkamp wants the original actress, who quit acting shortly after she appeared in Aliens. The girl has been very active on her personal Twitter account in celebration of Alien day, sharing photos of the young Newt action figure coming from NECA. She will also be present at the Aliens screening being held in Los Angeles, where we might get to hear her confirm her presence in this next movie in person. Alien 5 does not yet have a start date. Even though it was announced awhile ago, it was decided that director Ridley Scott would shoot his Alien: Covenant first. But just this past week, Alien 5 star Sigourney Weaver, who stars as Ripley, confirmed that the movie is still very much happening. You can check out the concept art of Newt in the Instagram post below.